Chiang Mai has an irresistible charm of a once Lanna culture which is still evident in the central part of the old city. The Lanna culture lives in the architecture, song & dance and of cause the delightful northern cuisine. 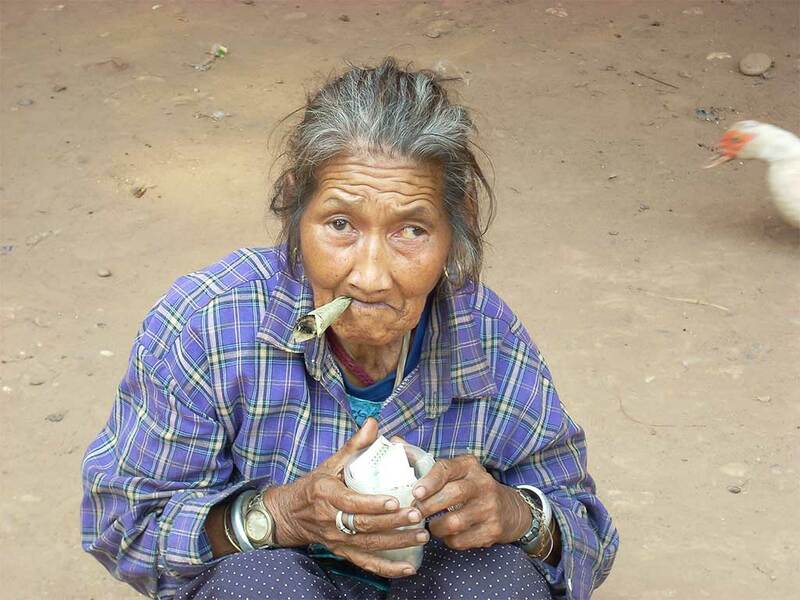 Chiang Rai crowns Thailand to border with Laos and Myanmar in the famous and notorious Golden Triangle. A lush northern landscape with rural charm and rustic legacy. On daily excursions from our base in Chiang Mai we will visit ethnic minorities, the mighty Thai elephants in his own habitat environment. 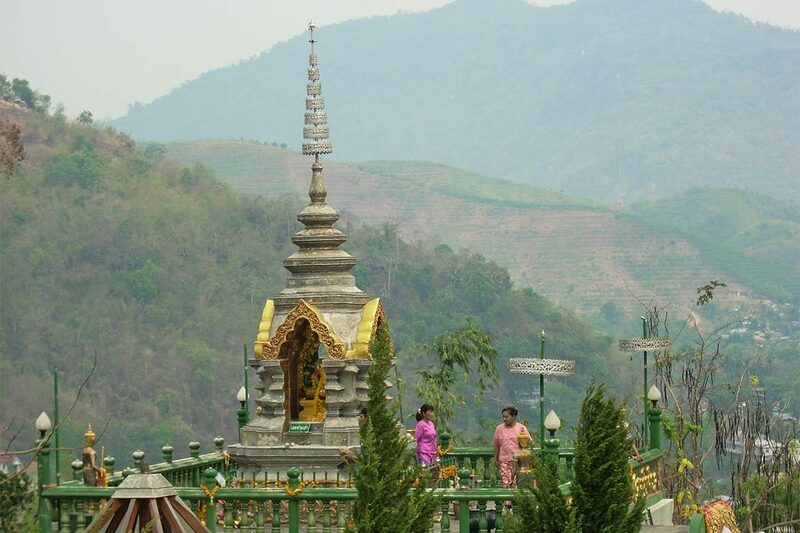 High mountain temple with a perfect viewpoint and indulge in the tasty Northern Thai specialties. 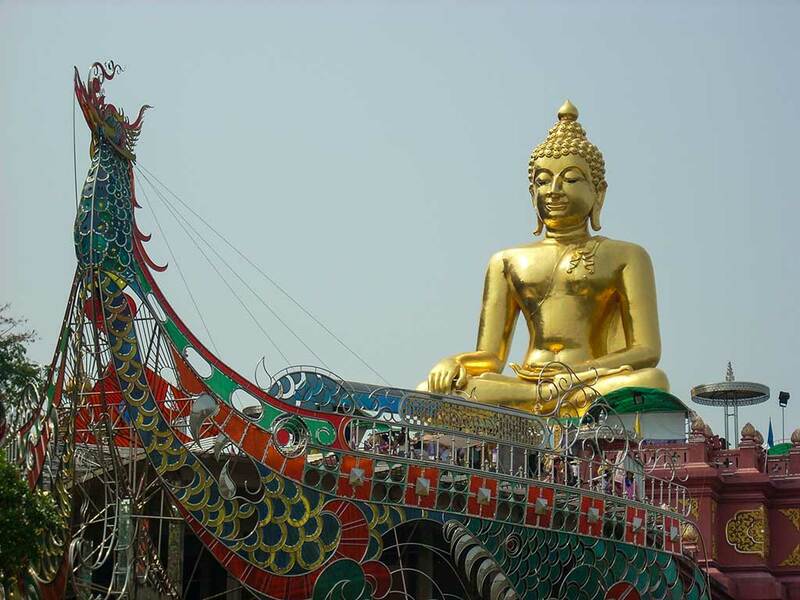 In Chiang Rai we visit the famous golden triangle with stops in Myanmar and across the Mekong River to Laos. 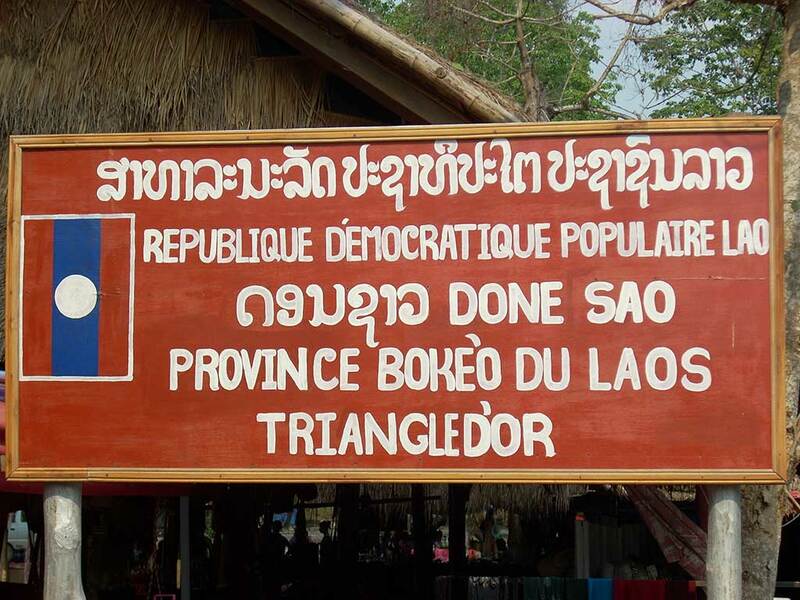 We see how the once vivid region is today rich with ethnic minorities. Where every day is a delightful new adventure. Chiang Rai is natures finest. Golden Pine is designed as an authentic Northern Village. In Chiang Mai, choose between 3 different standards. 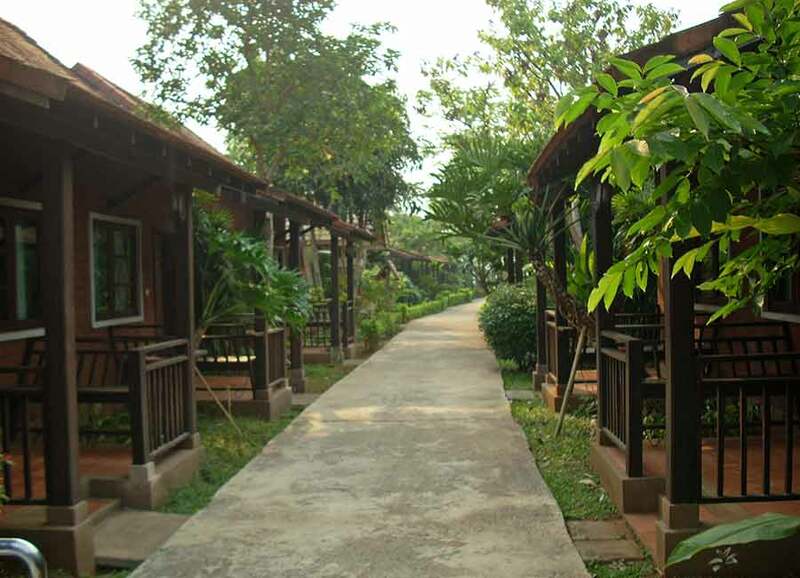 In Chiang Rai, our accommodation is the Golden Pine Resort for all the three above options. 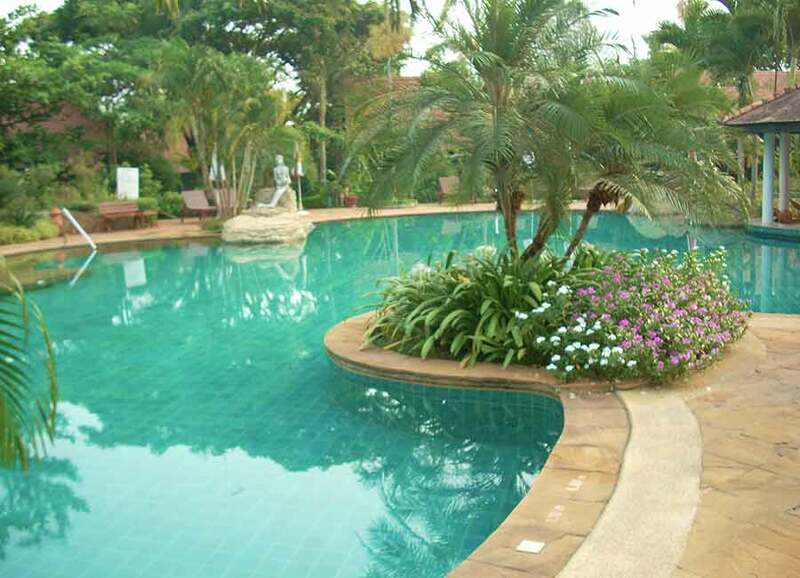 The Golden Pine Resort is a 4* standard with location approx. 15 km. 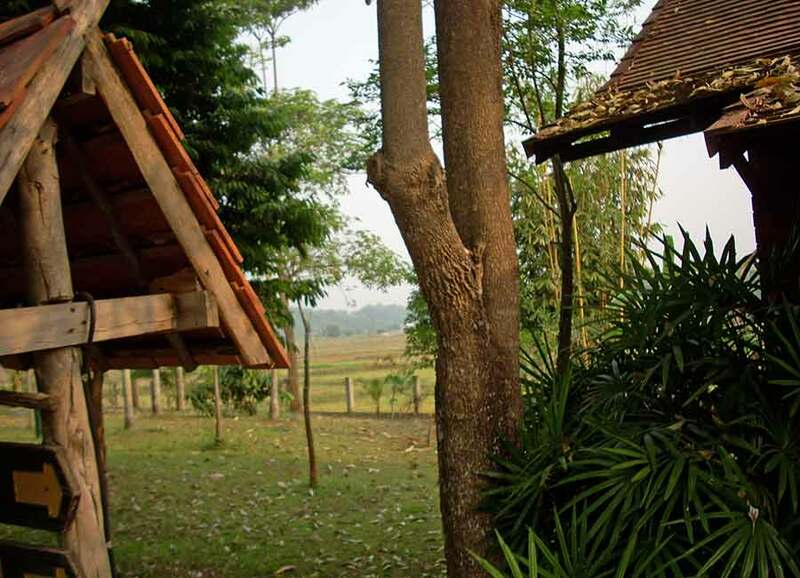 outside Chiang Rai town, beautifully set on a large area between open rice fields and ethnic minorities. 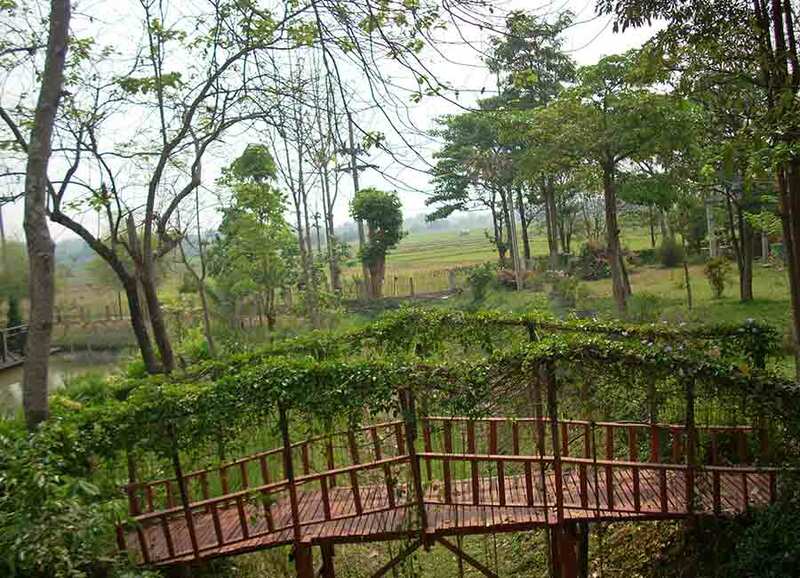 The design resembles an old traditional village of the north with a wooden terrace and even a part designated for introduction of the rice cultivation process. All accommodation is in a central location. Room type upgrades are possible and are quoted ad hoc. Combining with 3 nights in Bangkok:. City tour with boat trip. As you reach Chiang Mai a transport is waiting for you with a short 20 min drive to the hotel in the center of Chiang Mai. Check in at the hotel with some time to freshen up. In the afternoon we set off on a short city tour where we visit the four most revered temples in Chiang Mai, all from the Lanna period. To the West is ‘Wat Suan Dok’ built by King Kuena. The Chedi towers contain the ashes of the Lanna King together with the old Chiang Mai Royal family. A stroll from the Western city Gate is ‘Wat Phra Singh’. Originally from the time of Phra Chao Kham Fu (1328-1335). Most famous and popular is in the very center of the city walls, ‘Wat Chedi Luang’. From 1401, now reduced to 40 meters, from it’s original 90 – due to an earthquake in 1545. Just by the entrance we find the spirit house of the “Sao Intakin” (deity-spirit of the city). From Temple-seeing we take on a drive around the old city, or more the ruins of the old city wall gates, after where we stop at a busy local market, ‘Worarot’. Excellent to pick up some local delicacies, garments, flowers and more. From the market we walk across an iron bridge, to embark our boat trip on the River Ping. We pass beautiful scenery and local life on each side. For a break and a soft drink we stop by a local house at the Baan Din area. City Tour: Joined. Approx. 13.30 – 17.00 hr. Half day elephant camp and orchid farm. 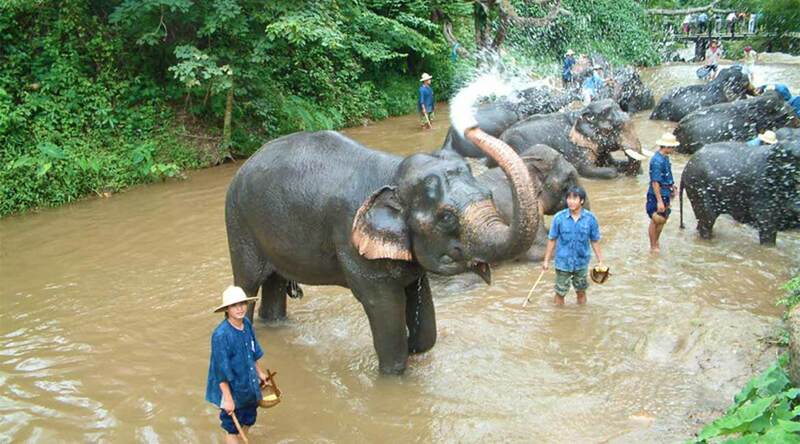 The elephant has a prime status among animals in Thailand, and are very well treated especially in the north which is his ideal environment. Early morning trip approx. one hour north of Chiang Mai. Here amidst the lush tropical jungle beside a meandering river we watch the elephants have their morning bath in the cooling stream. Together with the Mahout (An elephants personal trainer and close friend) the elephants show us they used to be working the olden days with the local communities. We see how they push, drag and roll logs in unison at the command of their mahouts. The elephant do not suffer any abuse or inconvenience by this. Here he is in his natural environment and live in peace with the herd. 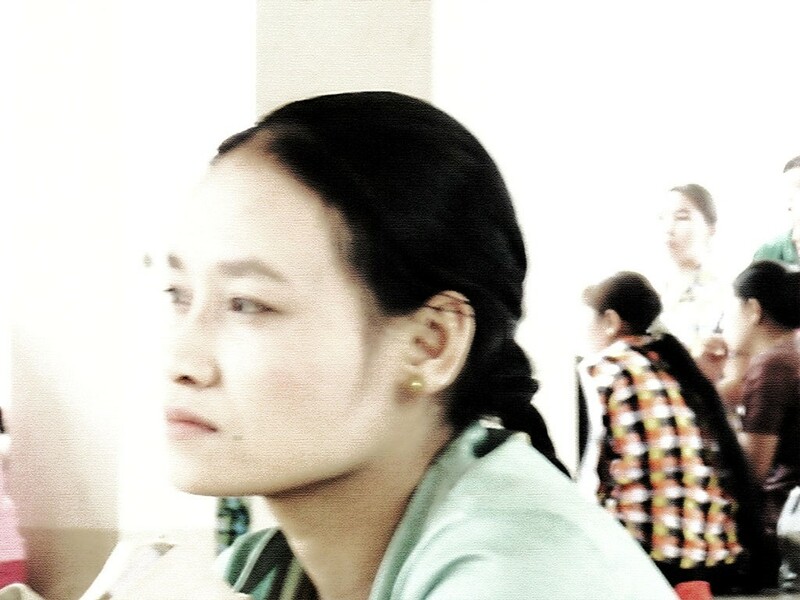 Thailand has and uphold strict regulations reg. the welfare of elephants. The orchid is Thailand’s national flower and it flourish beautifully in the northern climate. After the camp we visit an orchid nursery farm filled with more than fifty different varieties of gorgeous orchid blooms, dazzling in an array of colours with exotic butterflies. Return to the hotel at approx. noon. The afternoon is at own disposal and exploration. Pick up from the hotel lobby at approx. 19 hrs. 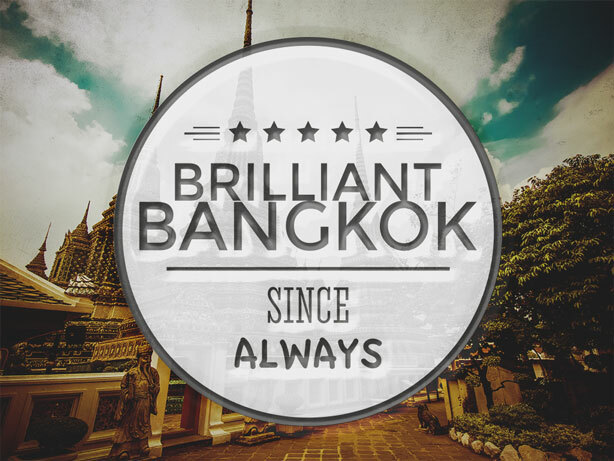 We relax in an informal atmosphere whilst dining on delicious northern Thai specialities. “Khan Toke” originating from a traditional wooden or Rattan Tray style used for serving food by the Lanna Thai people. The menu consists of a large selection of traditional northern dishes. + deep fried chicken & banana, stir fried mixed vegetable and fresh & soft-boiled vegetable. Among many choices, these dishes are eaten with ‘Kao Nieow’ (sticky rice). Go ahead to your heart’s content. During the meal a Traditional Northern Musical ensemble will play soothing music along with charming dancers performing traditional dances as the Fingernail Dance. As the northern region is rich in ethnic minorities a selection of Hill Tribes Dances performed by the Akha, Yao, Lisu and Karen tribes rounds up this entertaining evening. Loose and informal attire is recommended as you will be sitting on the floor. Chicken can be requested instead of Pork and a special Menu can also be arranged upon request for Vegetarians. Tour: 1/2 day Elephant Camp. Joined. Approx. 8.30. – 12.00. Khantoke dinner. Joined. Approx. 19.00. – 21.00. Mountain temple & ethnic minorities. The morning is free and easy and at own disposal. In the afternoon it’s time for Wat Prathat Doi Suthep and the White Hmong hill tribe. The tour begins with a winding drive up 3 500 feet above sea level to the sacred temple of Doi Suthep. From here we climb up the 300 steps to the temple gateway which is guarded by two Nagas (naks). Around the grounds of Doi Suthep are beautiful golden pillars, six feet gongs and rows of temple bells. It is the most sacred temple in the city and contains a holy relic of the Lord Buddha which is enshrined in a magnificent golden pagoda that can be seen for miles around. 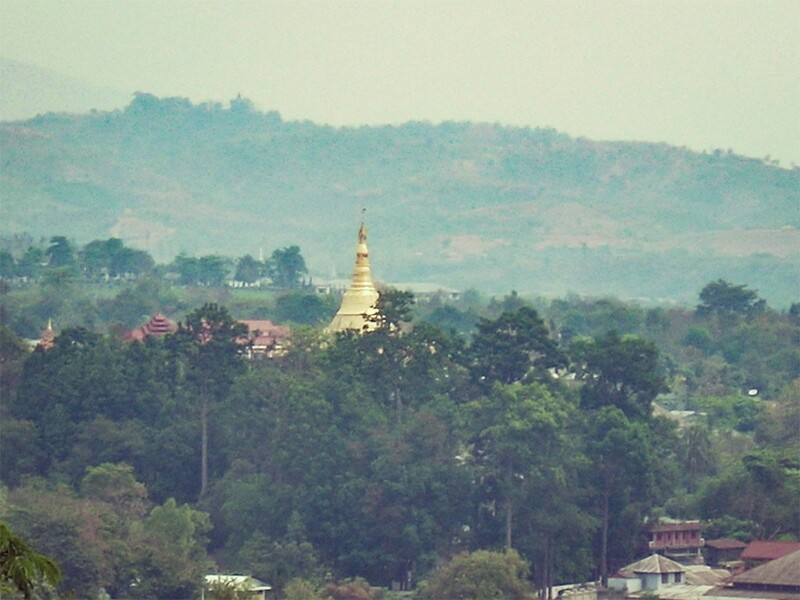 A panoramic view of the city and the surrounding countryside can be seen from the temple grounds. We continue by local truck along a bumpy mountain, but scenic, road to visit the White Hmong hill tribe village. The White Hmong are migrants from China who prefer to live in simple, isolated and self-sustaining villages while preserving their primitive culture, ancient customs and gorgeous embroidered costumes. 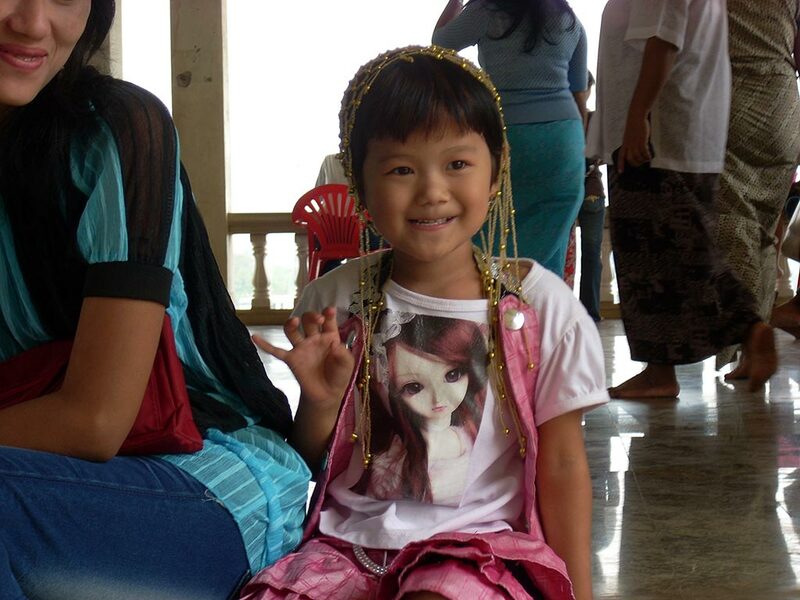 Tour: 1/2 day Doi Suthep and White Hmong Hill Tribe. Joined. Approx. : 13.30 – 17.00. Transfer from Chiang Mai to Chiang Rai. At a set time the private transport to Chiang Rai is ready. An approx. 4 hours drive through the green lush northern landscape to Chiang Rai. Check in with the remains of the afternoon at own disposal. At evening hour we enjoy a Northern Thai dinner on the outdoor terrace overlooking the paddy fields. Where can you visit 3 countries in 1 day? 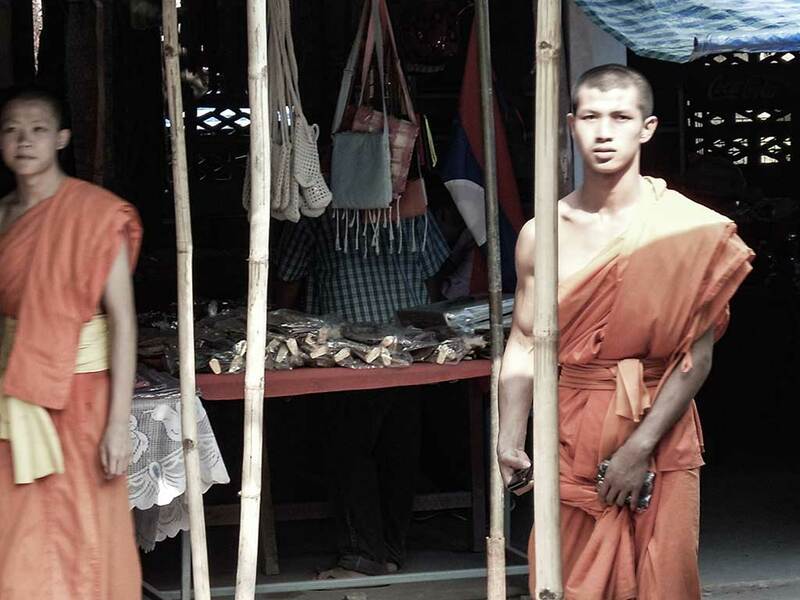 At the most northern confluence is where Thailand, Laos and Myanmar join borders is a place where a mix of minorities and culture come together. 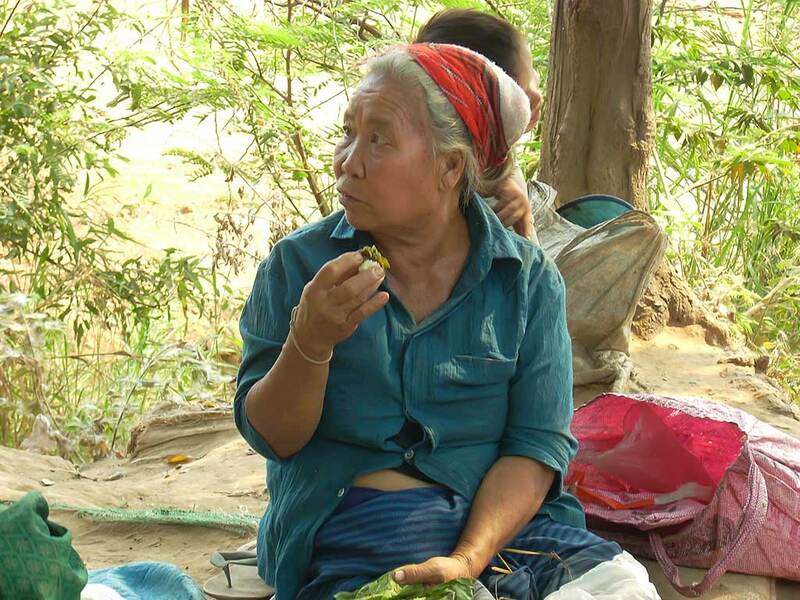 We drive up to the Mai Sai Border to Myanmar, crossing and venture into a bustling market on the Myanmar side. 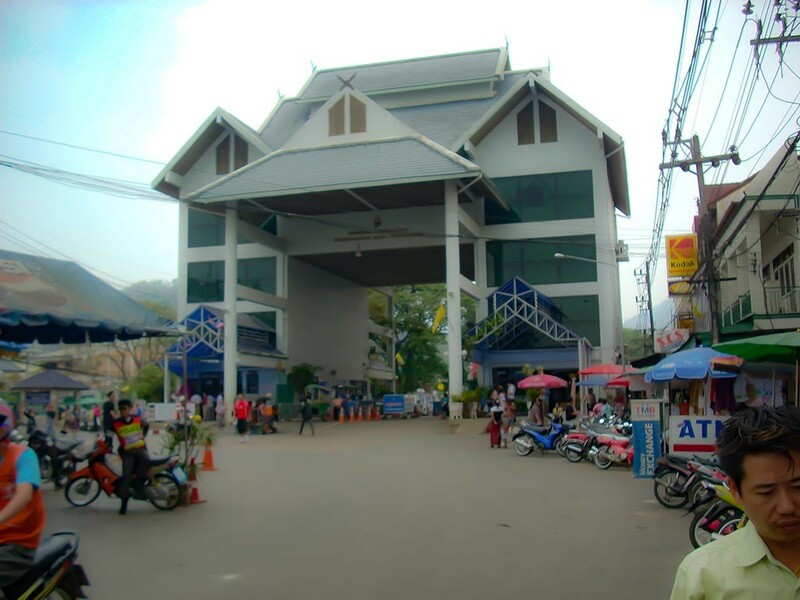 From the border town we drive down to the Mekong River at a point where it separates Thailand and Laos. Here embarking on a River Cruise we cross the Mekong to visit a market on the Laos side of the river. 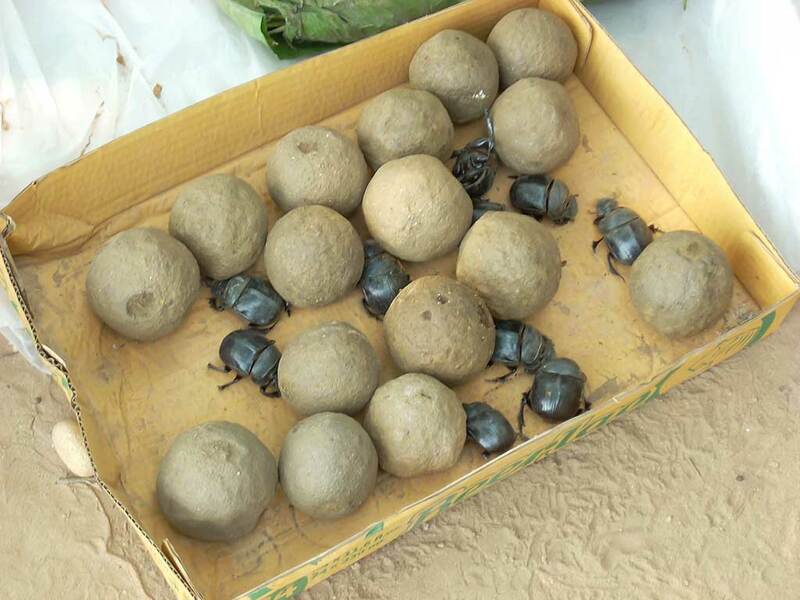 Once back on the Thailand shore, we stop at the opium museum to get a view into some of the region’s past. … or perhaps continue your stay with some days at the beautiful white sandy beach in southern Thailand? ✓ Incl. all local taxes and service charges. Domestic flight or train service. The program start in Chiang Mai and ends in Chiang Rai. All day tours are with local English-speaking guide and together with travellers of other nationalities. Except: Full day Golden triangle is private. Transfer between Chiang Mai and Chiang Rai is private, without guide. All travelers with S.I. Tours are covered under our local travel agent operator insurance which in case of accidents cover hospitalization or medical expenses. Association of Thai Travel Agents.